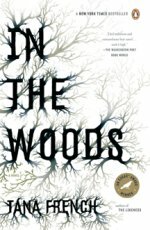 In Tana French's powerful debut thriller, three children leave their small Dublin neighborhood to play in the surrounding woods. Hours later, their mothers' calls go unanswered. When the police arrive, they find only one of the children, gripping a tree trunk in terror, wearing blood-filled sneakers, and unable to recall a single detail of the previous hours. Twenty years later, Detective Rob Ryan--the found boy, who has kept his past a secret--and his partner Cassie Maddox investigate the murder of a twelve-year-old girl in the same woods. Now, with only snippets of long-buried memories to guide him, Ryan has the chance to uncover both the mystery of the case before him, and that of his own shadowy past.